Construction Season Begins, Speed Studies, Road Closures and more! Spring has sprung, which means you've probably seen construction projects popping up along your commute as the County continues its commitment to investing in transportation. 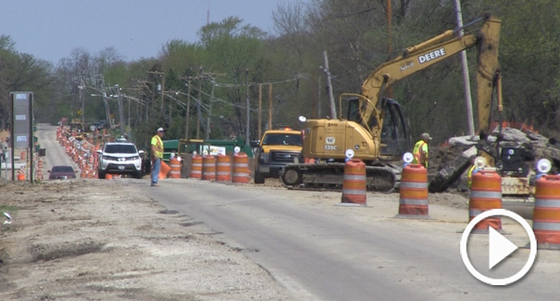 In this County update, County Board Chairman Aaron Lawlor joins Lcdot - Lake County, IL Division of Transportation's new Director, Shane Schneider, as they talk about some of the projects such as Cedar Lake Road, Quentin Road and the Millburn Bypass. Watch Video. The Lake County Division of Transportation (LCDOT) is responsible for setting the speed limit for county highways under our jurisdiction, and township roads. Safety on the roadways is always our top priority and guides everything we do, including the determination of speed limits. What is a speed study, and how does the process work? Did you know that you can have information about road closures delivered to your inbox? We have an email subscription specifically for people who wish to be notified when roads are closed due to construction. Most of the time the information is specific to county highways, but when we receive news releases from IDOT or the IL Tollway we forward them along as a courtesy. 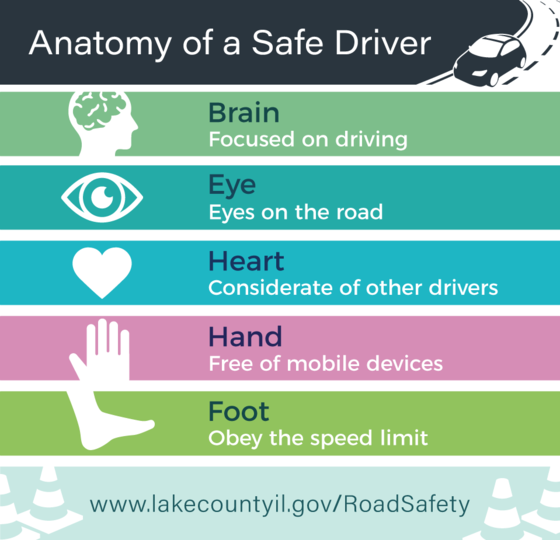 Driving safely requires your attention from head to toe!